The calendar reads December 27th. Secular society has us fully ensconced in “after-Christmas” sales and is already prepared to move us along to Valentine’s Day. And yet we Catholics know that in terms of the liturgical season of Christmas, we’re just getting started. Re-read the infancy narratives. For a great place to start, spend some time reading and praying with Luke 2. Share this with your children by enjoying the story of Jesus’ birth in their children’s bible. Continue the giving. If your family did not already give to a charitable cause this season, make a small family donation in gratitude for your blessings. Consider giving to Catholic Relief Services or CFCA. Play Christmas music in your home. If you received a new smartphone or tablet for Christmas, check out the free Pandora app or listen from your computer. Be of Service. Many social service agencies are overwhelmed with volunteers before Christmas and then find themselves greatly in need of help after the holidays. Contact your local Catholic Charities agency for a great place to start finding great charitable organizations in your community. 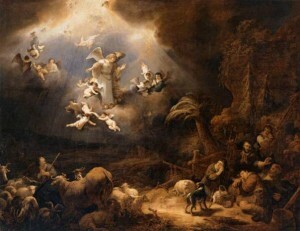 Anticipate the Epiphany of the Lord. On January 6th, we celebrate the Solemnity of the Epiphany of the Lord. Learn more about traditions and cultural practices tied to the Epiphany here. Indeed, many families wait until the Epiphany to give gifts, so this might be another time to gather for a special feast with your loved ones and give thanks for your blessings. Do you find this “after-Christmas” period difficult or emotional, or are you simply just “getting into the groove” of the holidays? I’d love to hear from you in the comments!